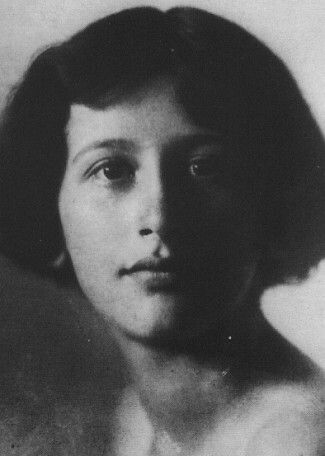 Born in 1909 to secular Jewish Parisians, at age 10 Simone Weil was memorizing Racine and marching in labor union protests. She attended the École Normale and then briefly taught philosophy to lycée girls, serving on weekends as a volunteer educator for members of the working class. Observing first-hand the rise of totalitarianism in Germany, she recognized early its similarity to Stalin’s Russia (leading to her break with the ideologically-blinded Communist Party). She worked in factories and on farms to understand firsthand the conditions of contemporary laborers and the spiritual dimension of work. In 1942, after escorting her parents to New York, she obtained a position with the Gaullists in London. There, before her death in 1943, she wrote her most famous book, The Need for Roots (L’Enracinement) as a contribution to the discussion of principles that ought to guide and animate the Fourth Republic. She wrote many brilliant short works, publishing very little and entrusting the manuscripts to friends. Weil might be described as an Augustinian Platonist, enriched by Nietzsche, Marx, tragic and Vedic literature and John of the Cross, and sometimes narrowed by Descartes, Pascal, Kant and her own intense antipathies (e.g. for Aristotle). Like Augustine, her lifelong quest is for liberation from self-enclosure. The human problem is not fundamentally the alienation of the self from itself, but the alienation of the soul from the real and other; rather than returning the self to itself in autonomy, Weil seeks to return the soul to the Good through the ecstatic love of beauty. “The soul that is prevented by circumstances from feeling anything of the beauty of the world … is invaded to its very center by a kind of horror.” Eventually, this philosophical quest opens into a deep engagement with the Christian theological and mystical traditions, an engagement incompletely resolved at the time of Weil’s early death. There is a reality outside the world, that is to say, outside space and time, outside man’s mental universe, outside any sphere whatsoever that is accessible to human faculties. Corresponding to this reality, at the center of the human heart, is the longing for an absolute good, a longing which is always there and is never appeased by any object in this world…. That reality is the unique source of all the good that can exist in this world: that is to say, all beauty, all truth, all justice, all legitimacy, all order, and all human behavior that is mindful of obligations…. Although it is beyond the reach of any human faculties, man has the power of turning his attention and love towards it…. The combination of these two facts – the longing in the depth of the heart for absolute good, and the power, though only latent, of directing attention and love to a reality beyond the world and of receiving good from it – constitutes a link which attaches every man without exception to that other reality. Whoever recognizes that reality recognizes also that link. Because of it, he holds every human being without any exception as something sacred to which he is bound to show respect. This is the only possible motive for universal respect towards all human beings. Weil here articulates the Christian Platonist metaphysics and anthropology at the heart of her vision: Man, seeking to extend his person over reality, creates a mental universe, an interpretation of beings catering to his will to power (individual or collective); but attentive receptivity to “the Good beyond being” allows grace (which moves the heart to love beauty, truth and goodness) to penetrate through the psychic apparatus or “gravity” of the “mediocre” (self-enclosing and self-expanding) part of ourselves. Sometimes this receptivity can only come about for us through extreme affliction (a central theme of Weil’s writings), involving physical suffering, loss of our hopes from this world, and personal and social degradation. Weil sees man’s self-enclosure reinforced by every aspect of modern economic, cultural and political life, and seeks to articulate alternatives that would provide “rootedness” in the life-nourishing transcendent reality. Both Liberalism and Totalitarianism ideologically sever religion from truth and destroy genuine culture, which, while always embodied in a particular tradition of practices and images, has the task of serving as a window to the absolute. Secularization in education and culture starves and alienates the soul from the “truly precious” products of human culture that provide “ladders reaching toward the beauty of the world, openings onto it.” Scientists replace priests as cultural authorities, and replace the religious-poetic symbols mediating soul and reality by a self-enclosed algebraic system of signs interposed between the mind and the experienced world. The lesson of modern science that amoral force reigns supreme in nature renders honest minds susceptible to totalitarian politics: “Hitler would be inconceivable without modern technique and the existence of millions of uprooted men.” The paradigm of rootedness through work and private property is “the peasant who cultivates with his family the land he owns.” The paradigm of alienation from the reality mediated by work and property is the absentee investor enclosed in the self-referential sign-system of money. Weil’s final vision is Christian, but Gnostic. For traditional Christian Platonism, the Good is beyond being, but also always responsible for and manifested in the distinct being of each being, so that the world is an order of lovable goods. For Weil, the world only mediates the lovable transcendent: ruled by ordered necessity, it manifests the perfect obedience to the Creator that serves as model for our un-selfing self-surrender that Weil calls “decreation”. Always attracted to stark polarities, Weil could only conceive of the love of God as ascetic renunciation of will, not as a humanism gratefully celebrating the gifts of our created particularity. She felt drawn to the Passion, but not to the Resurrection – which meant that her Gnosticism was not the effete bourgeois variety, but one that accepted (even if masochistically) the demands of engaged love. I recently and very gladly have come to know Simone Weil, at least in a small way. One point that strikes me about her is the devotion that she engendered in the people she met. She died young and would be entirely unknown today if it were not for Gustave Thibon and Fr. Joseph Marie Perrin who gave much of their long lives to ensuring that her manuscripts were edited and published and that anecdotes about her are remembered. In a large sense, her heart and life includes their lives as well. I am currently reading works about and works by three women whom I have come over the last ten years to admire: Simone Weil, Edith Stein and Flannery O’Connor. Thank you for this article and its links. Despite the growth of feminism, the 2oth was a century of remarkable women. To your list, Robert, I would add Dorothy Day and Hannah Arendt. I am sure there are many others beyond my view. Thank you for your uplifting article! I’d say Mr. Medaille the frequency of remarkable women most likely has been rather constant, but their ability to express their particular genius was generally constrained. And as long as I am carping let me say I’d prefer to use the word brilliant for this group; remarkable goes for a different skill set in my book. I found Weil through ChristianWiman; glad for the opportunity to read the works of both. Interestingly, Arendt’s dissertation was on St. Augustine. Thanks for writing this Mark. It does just what a great, little introduction ought to do: incites us to go grab whatever Weil we happen to have on our shelves and read (or re-read) it. No discussion of Weil is complete without a mention of ‘The Iliad or the Poem of Force’ – a brilliant meditation on the Iliad during the French occupation of WW II. Amazing work that I would argue she never surpassed. I’ll second Steve’s recommendation of adding the Iliad essay to the must reads, only noting that this brilliantly insightful and beautiful discussion of the poem is slightly skewed by Weil’s dualism, in ways that would take some subtlety to tease out. The shorthand for starters is that Weil seems not to appreciate the role of what Plato described in the Republic as the thumotic part of the soul, either in the poem or in herself. I discuss this a bit in the first “Related Post” above, but it’s worth a long treatment some day.